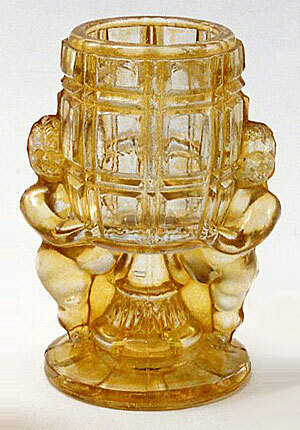 This marigold toothpick holder was photographed in 1994, it was called Cherubs and sold at auction for $190. In 2008 this same toothpick sold again or another just like it for $135. The maker has not been identified.